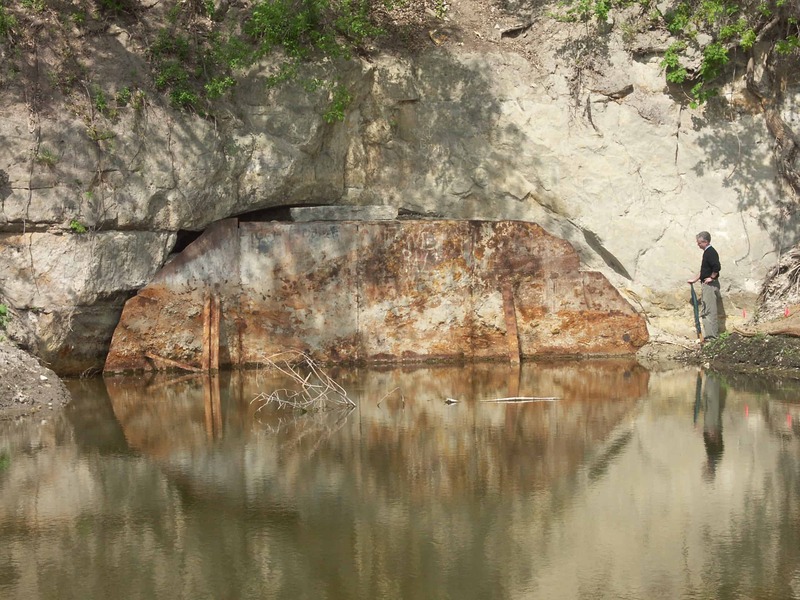 On the east side of Saint Paul, Minnesota, at the base of an impressive bluff line, is a cave that the Dakota call Wakan Tipi and that Euro Americans have named Carver’s Cave. This cave has long held importance for both cultures, but its significance is no longer apparent to visitors. Today, the cave entrance is sealed shut and the ancient petroglyphs are gone. Originally, Wakan Tipi was centrally located at the intersection of the roads between the three large Mdewakanton Dakota villages and also at the intersection of the Ho-Chunk, Anishinaabe, and Dakota tribes. According to Dakota elders, the presence of petroglyphs within Wakan Tipi indicates that the cave was a location for council meetings and sacred ceremonies. Elders talked about petroglyphs as “very ancient stories” made by man and spirits that indicate “the power of the place.” While petroglyphs of men, birds, animals, fish, and turtles were recorded within the cave, the largest and most notable petroglyphs within Wakan Tipi were large rattlesnakes that appeared to be pointing to, or moving towards, a common point directly over the widest part of the cave. The snake is an icon of healing, power, and medicine and thus the presence of the carved snake motifs indicate that the cave was likely a place for healing ceremonies. Furthermore, caves, in and of themselves, are sacred places because they allow one to enter simultaneously into the earth and darkness. Darkness is linked to both birth and death, which in turn are linked to Grandmother Earth. This is why sweat lodges and some vision quests also occur in darkness. The presence of a spring within Wakan Tipi furthers its importance as a location of healing. As one elder said, “water is the most powerful medicine in the world.” Water is also associated with the Un Kte Hi, the Dakota deity of waters and the underworld. 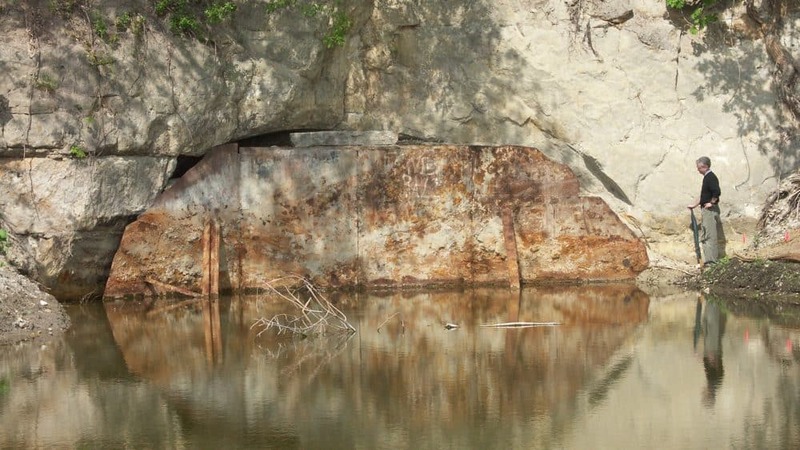 An elder who visited the cave in the 1940s or 1950s recalled that his grandfather would not let him go very far back in the cave because the Un Kte Hi lives in the lake in the back of the cave. 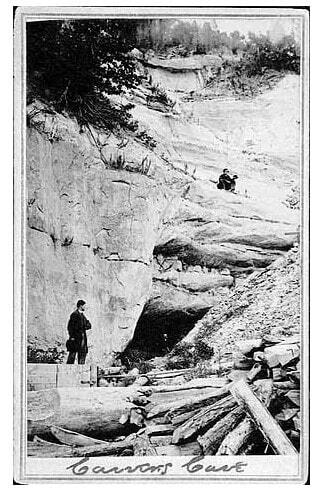 Carver’s descriptions of the cave and its “many strange hieroglyphycks” were included in his published journals. Later compiled into a popular book, they quickly became a bestseller and the “great cave” became a widely known landmark along the Mississippi River. Over time, popular interest in the cave became so piqued that the cave was eventually sealed shut with metal doors, prohibiting access to both Native and non-Native visitors. With the assistance of the local community and federal and state agencies, a 27-acre area along the Mississippi River that includes Wakan Tipi/Carver’s Cave was transferred to the City of Saint Paul for development of a nature sanctuary. While planning for the nature sanctuary, the 106 Group facilitated an extensive consultation process that was initiated with Dakota and Anishinaabe (or Ojibwe) representatives. Representatives included a broad spectrum of Native people: official federally-recognized tribal representatives, elders, local residents who are not officially affiliated with specific tribes or communities, and also representatives from the Minnesota Indian Affairs Council. 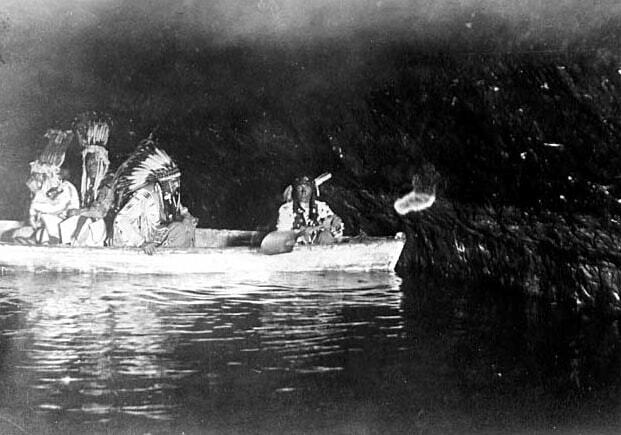 Given the cave’s sacredness to Native people, combined with many years of damage and even desecration of the cave, the highest priority was its appropriate and immediate protection. Conversations among tribal, city, federal, and community representatives, concerning future interpretive efforts and issues pertaining to access have been ongoing. And this conversation continues to find new ways of understanding the implications of our storytelling endeavors. Today, the area has undergone extensive environmental rehabilitation and is a destination for walkers, bird-watchers, and others. Anne’s career in cultural resources management and planning extends over 30 years and three continents. 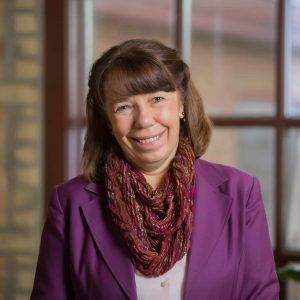 Originally from the United Kingdom, now living in the United States, Anne has witnessed the fields of interpretive planning and resources management change significantly and has been instrumental in its establishment as a vital part of community planning. In her free-time, Anne enjoys visiting national parks and historic places.